In this episode of the It’s Going Down podcast, we speak with three antifascists and anarchists based in the so-called United Kingdom, and discuss the history of antifascism in Britain, as well as the growth of both the English Defense League (EDL), and a cult of personality surrounding former British National Party (BNP) member and EDL leader, Tommy Robinson. Robinson has recently made headlines, and even won the support of US President Trump, after he was warned to not record on his cell phone during a court case, a line which Robinson quickly crossed, ending in him being put into jail, some would argue, purposely. In response, the far-Right mobilized thousands of people on the streets to defend him, and in some instances, even ended up clashing with the police, much to the jubilation of far-Right forces across the world. 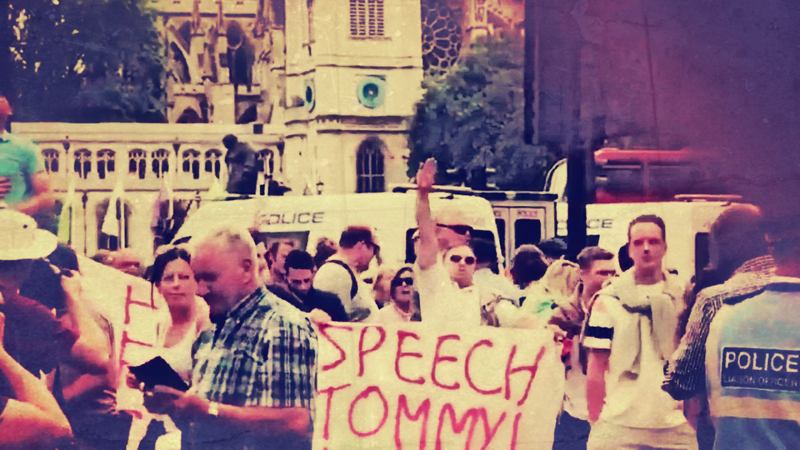 In our discussion, we talk about the difference in both white supremacy in the US and the UK as a social caste system governing society through violence, as well as the makeup of the far-Right itself. We also talk about how groups like the EDL and far-Right celebrities like Robinson are building large bases of support while also attempting to keep at a distance more traditional forms of fascist politics, and focusing on normalizing and popularizing conspiracy theories and fears around Islam and its supposed creeping influence within society. We also touch on the downfall of the neo-Nazi organization National Action and the growth of the so-called Identitarian group, Generation Identity. As groups like the Proud Boys and Patriot Prayer become more and more of a force within society and the explicitly white nationalist wing of the Alt-Right wains, discussions on how to build working-class opposition to far-Right groups who claim to “not be racist” is needed now more than ever. More Info: Beating the Fascists, Anti-Fascist Network, and LibCom.